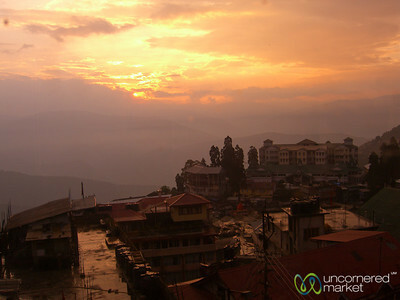 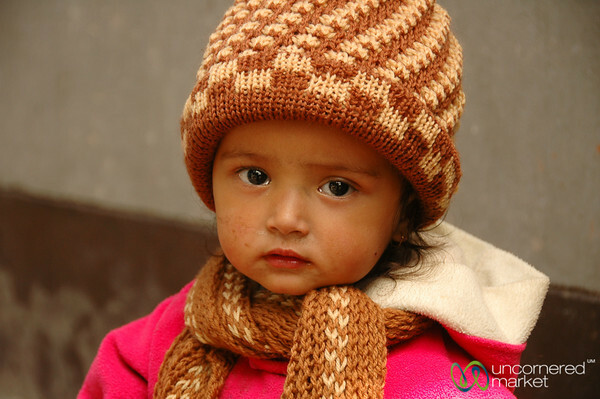 Travel photo highlights of the Darjeeling, India. Includes mountains, tea tasting, street food, the toy train and colonial architecture. 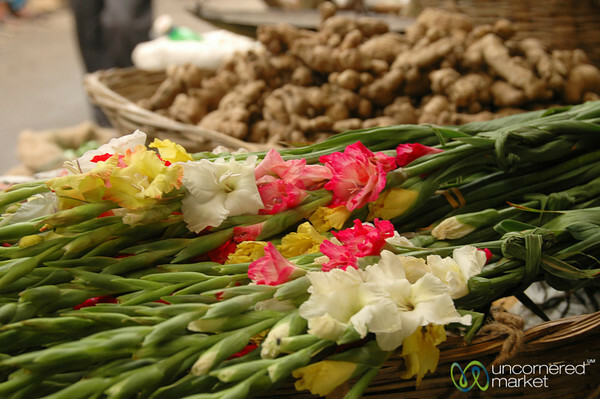 Read more about travel in India. 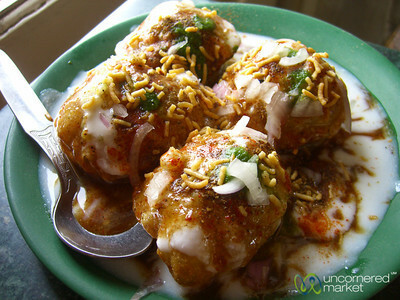 A delicious afternoon snack of dahi puchka - puri filled with potatoes and herbs and topped with plain yogurt and an assortment of sauces. 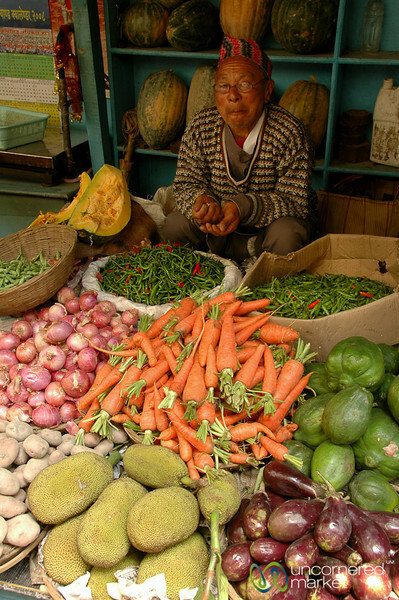 Taken at the fresh market in Darjeeling in West Bengal, India. 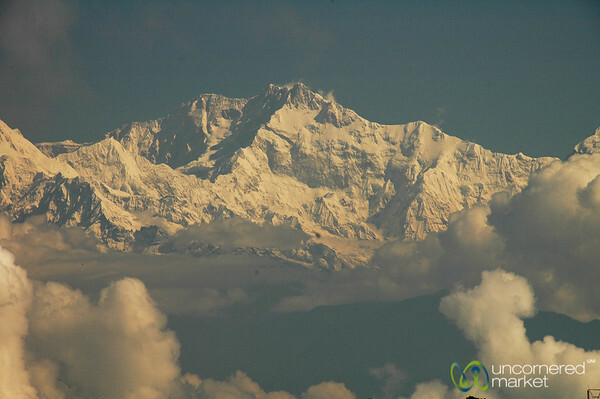 Incredible mountain views on a clear day from Darjeeling, India. 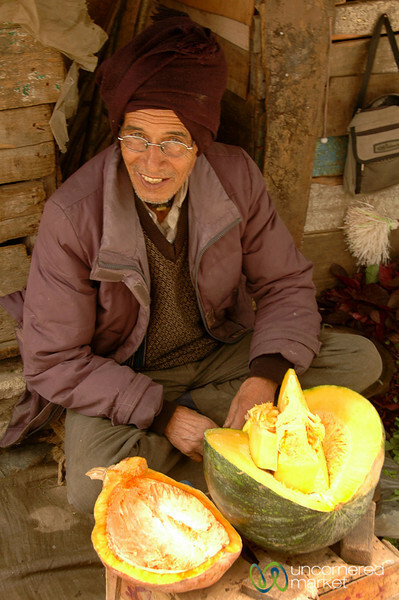 Taken during the train ride from Darjeeling to Siliguri in West Bengal, India. 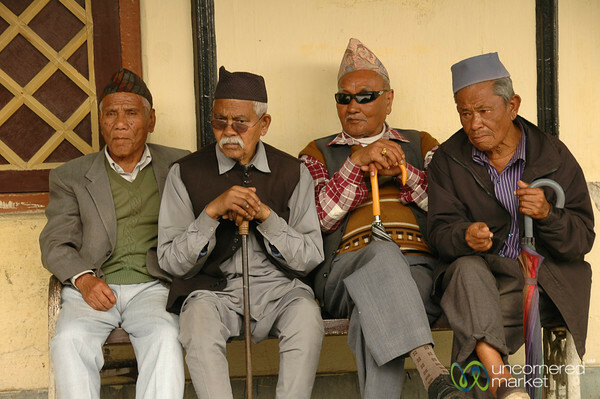 Taken at the train station in Darjeeling in West Bengal, India. 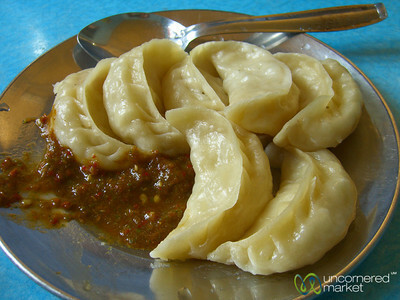 A plate of steamed vegetable momos with hot sauce on the way from Sikkim to Darjeeling, India. 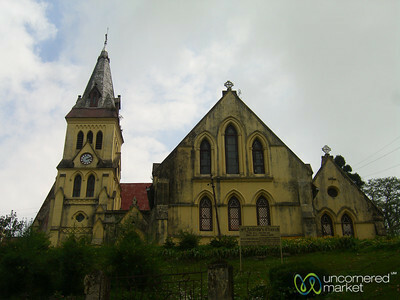 St. Andrew's church in Darjeeling, West Bengal in India. 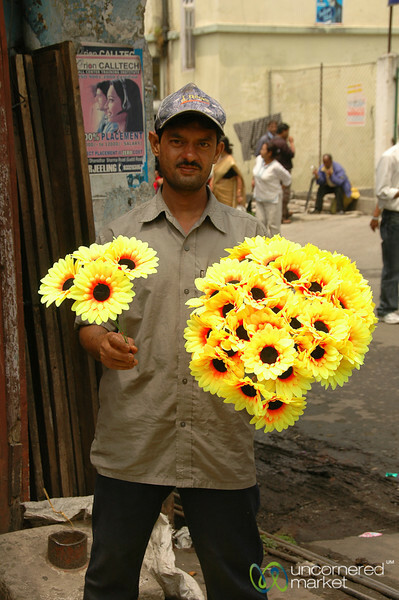 A plastic flower vendor on the streets of Darjeeling in West Bengal, India. 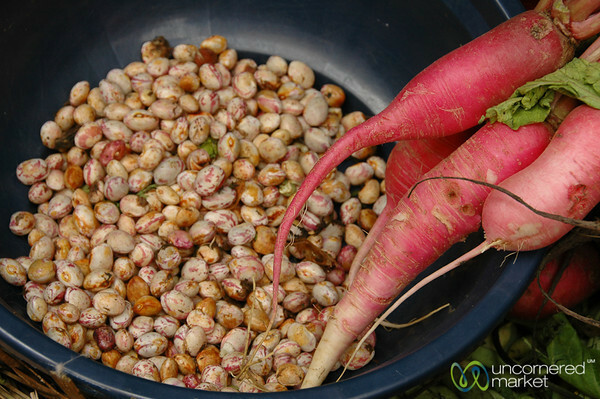 Have you ever seen radishes bigger than this?? 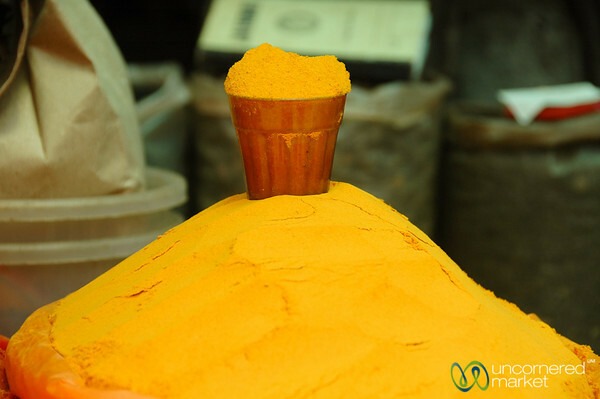 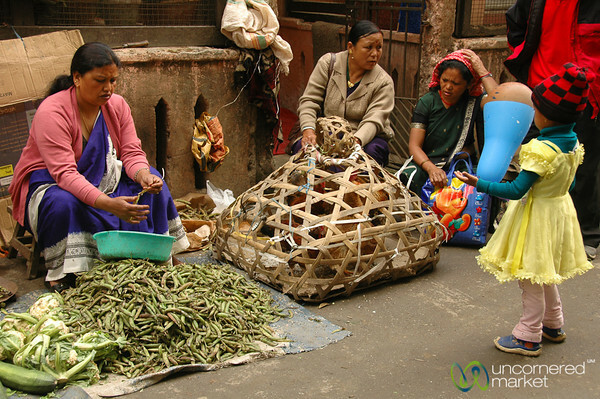 Taken at a fresh market on the streets of Darjeeling, India. 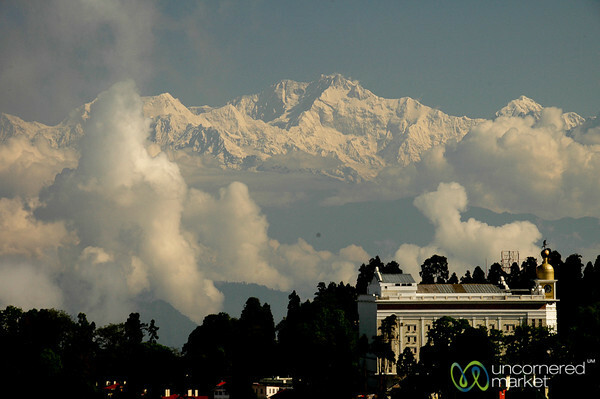 View of Kanchenjunga mountain from Darjeeling, India. 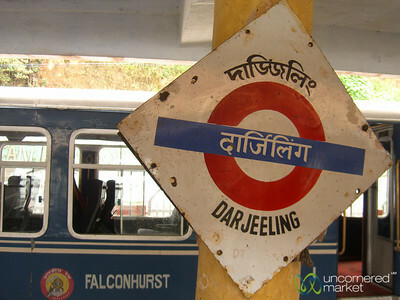 All aboard the train in Darjeeling, India. 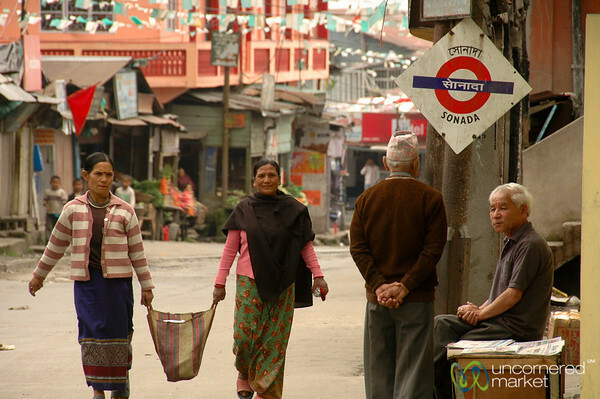 Taking a walk in Sonada while switching trains from Darjeeling to Siliguri in West Bengal, India.